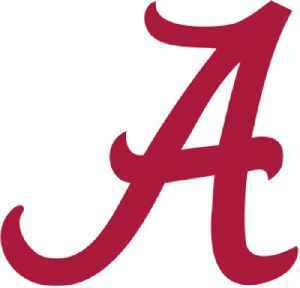 The Alabama Crimson Tide football program represents the University of Alabama in the sport of American football. The team competes in the Football Bowl Subdivision (FBS) of the National Collegiate Athletic Association (NCAA) and the Western Division of the Southeastern Conference (SEC). The team is currently coached by Nick Saban. The Crimson Tide is among the most storied and decorated football programs in NCAA history. Since beginning play in 1892, the program claims 17 national championships, including 12 wire-service national titles in the poll-era, and five other titles before the poll-era. From 1958 to 1982, the team was led by Hall of Fame coach Paul "Bear" Bryant, who won six national championships with the program. Despite numerous national and conference championships, it was not until 2009 that an Alabama player received a Heisman Trophy, when running back Mark Ingram became the university's first winner. In 2015, Derrick Henry became the university's second Heisman winner.